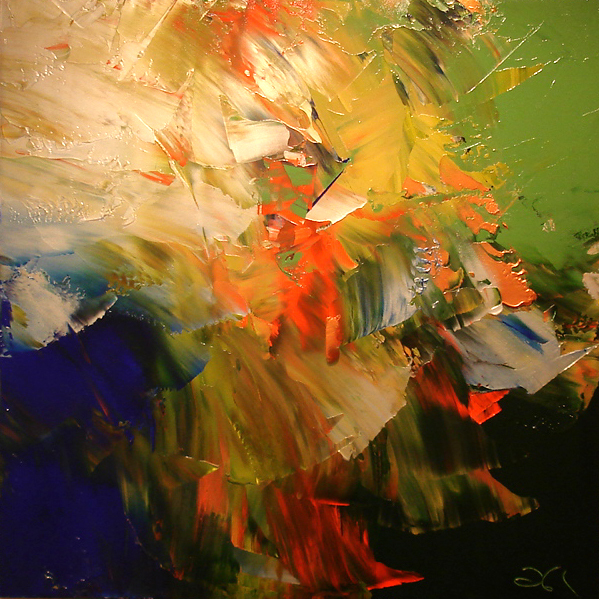 Opening show at Galleria Dante Puerto Vallarta, cocktail from 6 to 10 Pm. 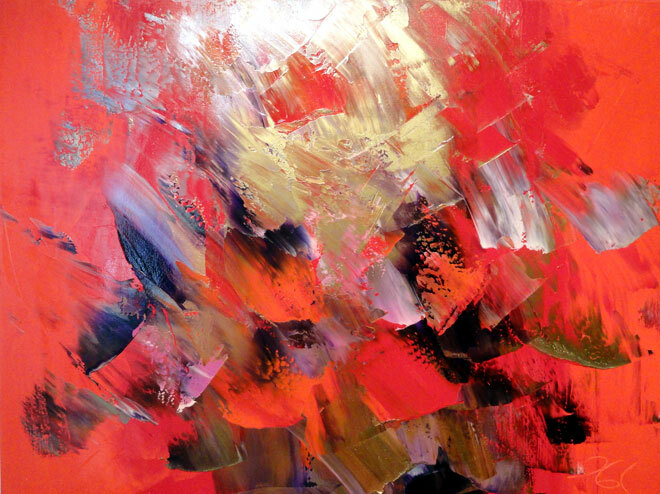 Opening cocktail South Side Shuffle Galleria Dante to present my new works 2014-2015, friday february 20 from 6 to 10. 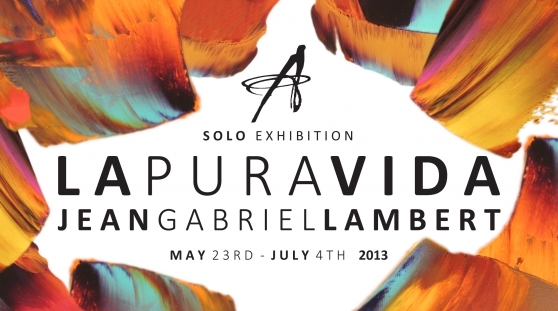 Group show at West End Gallery Victoria B.C. to celebrate 20 years. 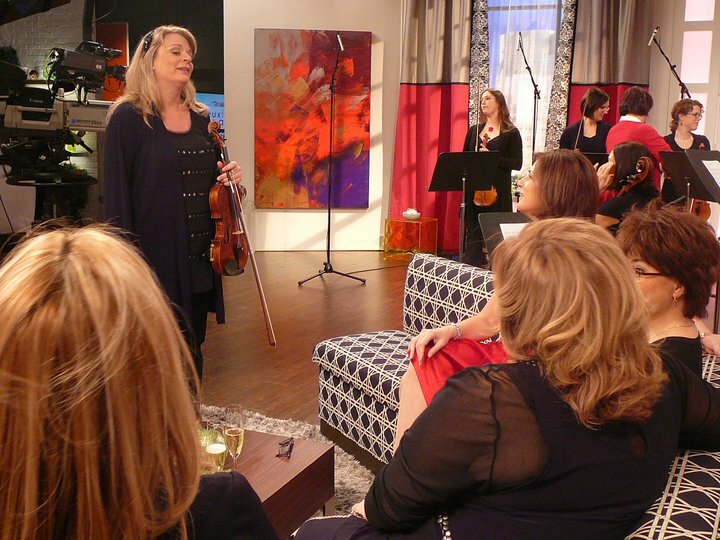 Opening cocktail , to present my new collection summer-fall 2014 , september 13 at West End gallery , Edmonton . Canada. 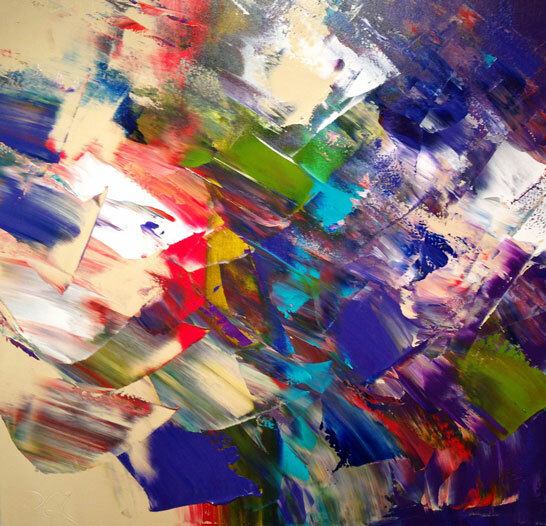 NEW WORKS 2014 at Galleria Dante Puerto Vallarta , South Side Shufle On Basilio Badillo Street ! Opening Cocktail from 6 to 10 , don't miss it ! 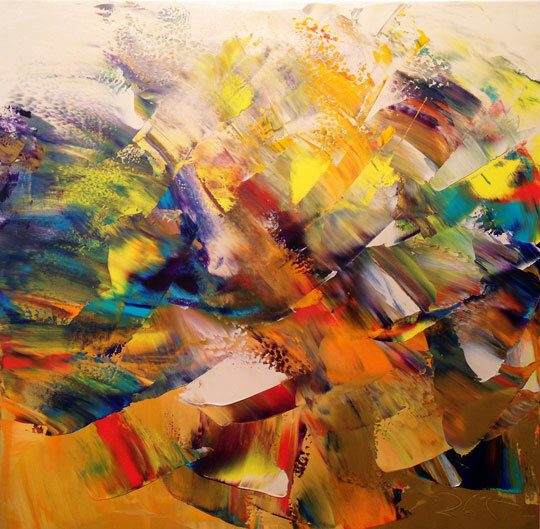 JGL participate for the second year to a collective show , at Koyman gallery in Ottawa. From november 30 to december 31. 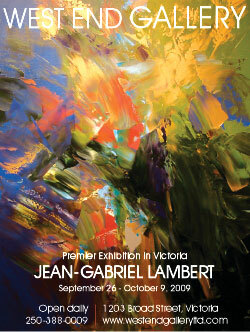 JGL PRESENTS IS NEW COLLECTION AT WEST END GALLERY , VICTORIA. OPENING COCKTAIL JUNE 22 , 2013. OPENING COCKTAIL( SOUTH SIDE SHUFLE ) @ GALLERIA DANTE. FRIDAY MARCH 22 . FROM 6 TO 10 . WE HOPE TO SEE YOU . Holiday exhibition of smalls Special Event. JGL participe , à l'exposition de groupe à la Koyman gallery à Ottawa, et présente ses " smalls " 12 pouces par 12 pouces. Du 1 er décembre au 31 décembre 2012. 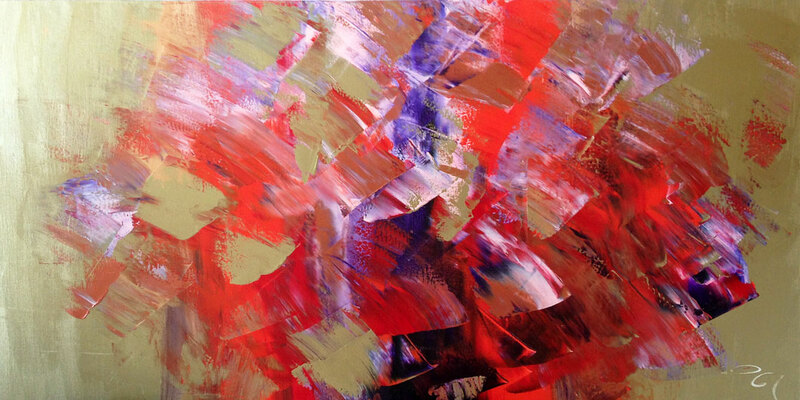 JGL participate to the Winter Collection , group show at West End Gallery , Edmonton , and Victoria. From november 29 to december 31 , 2012. 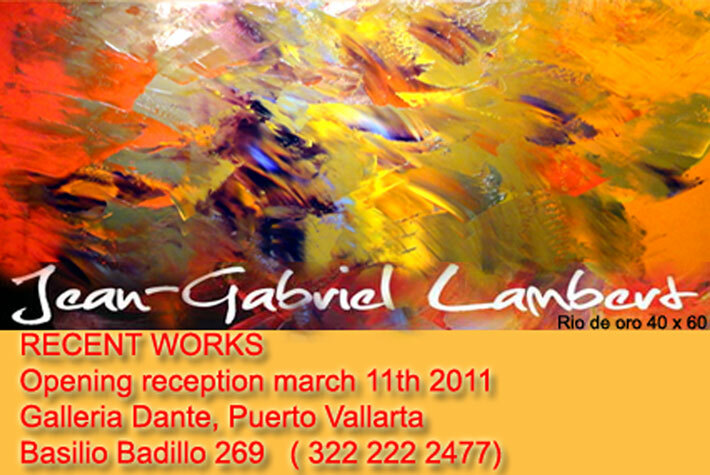 Jean-Gabriel Lambert presents his new works 2012 , at Galleria Dante, Puerto Vallarta, Mexico. Le vendredi 24 fevrier 2012. from 6 to 10 , Cocktail reception. 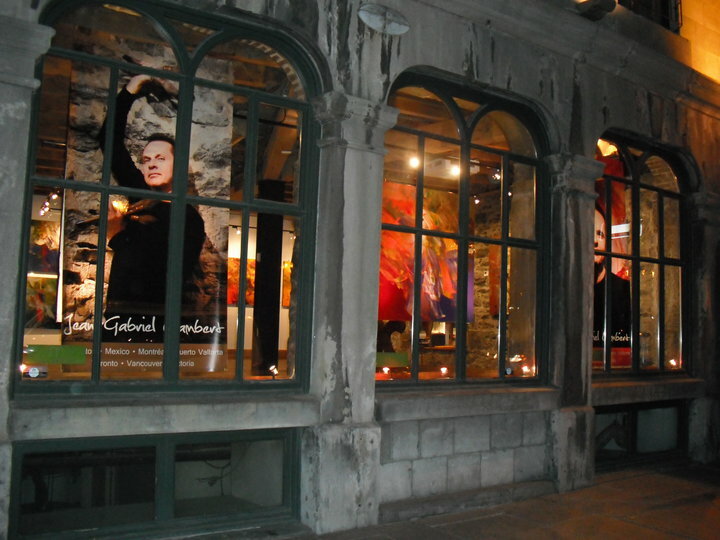 Performance de Jean-Gabriel Lambert et Yvan Genest 13,14,15 octobre 2011 à la M Galerie du Vieux Montreal. 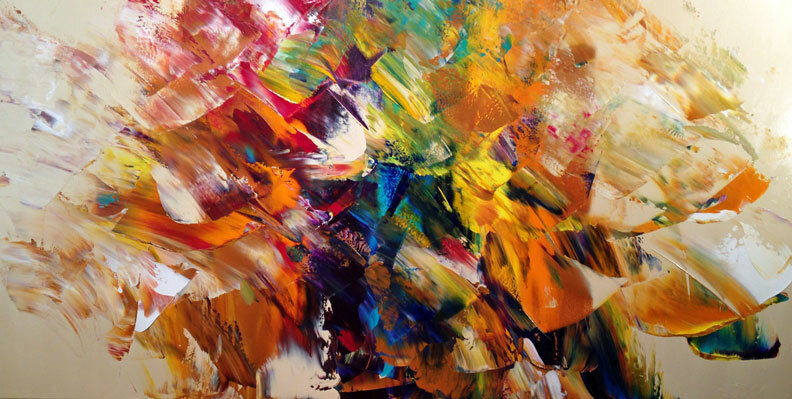 For the third year I present my new collection at West End gallery ,Edmonton . 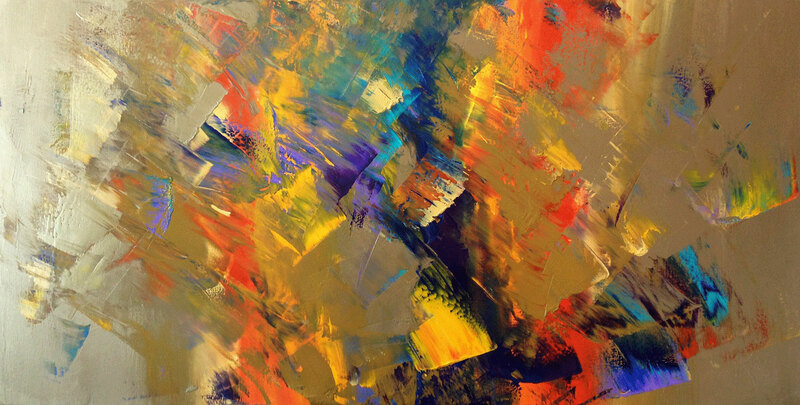 Opening reception , september 24 , I will present 30 new paintings. Group Exhibition, Liss Gallery , Toronto. 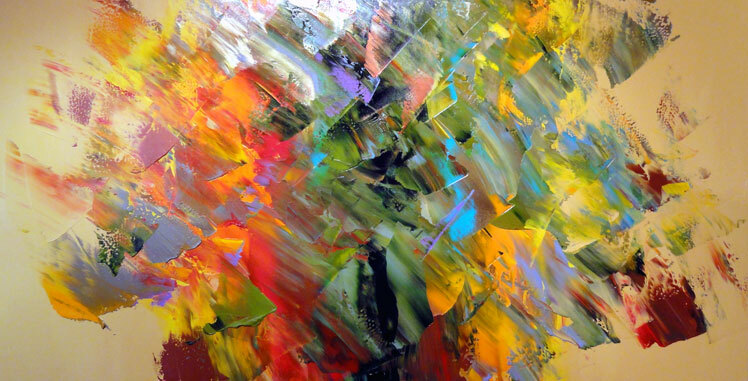 Jean-Gabriel , participate to a group exhibition , at Liss gallery , Toronto. 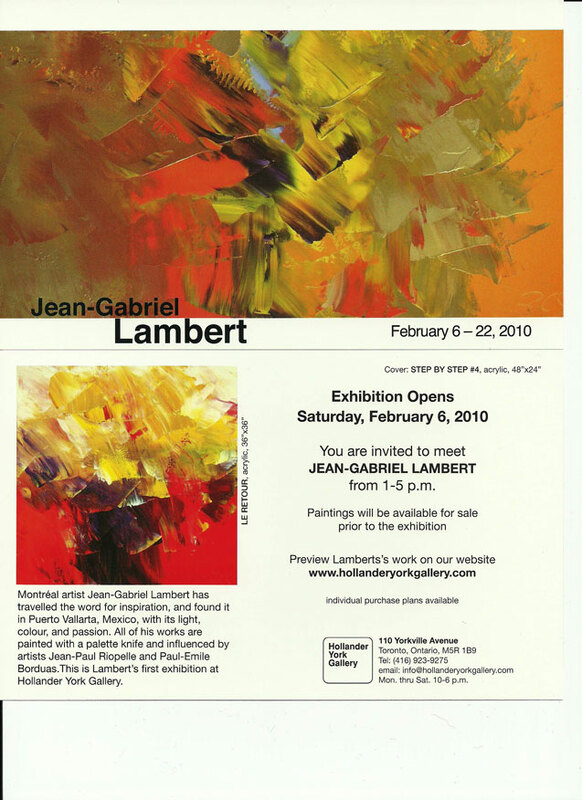 Jean-Gabriel Lambert is invited by Terence Robert Gallery , to present his new works at the great international Exhibition , in Toronto at Metro Convention centre. 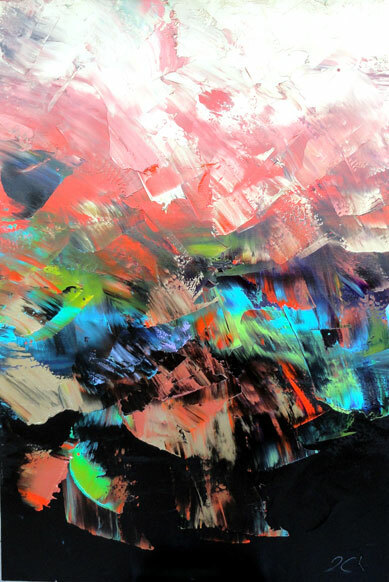 For the new edition "South side shufle" , every second friday evening, Jean-Gabriel Lambert will present his new works .Opening reception Friday march 11 from 6 to 10. At Galleria Dante , Puerto Vallarta Mexico. je suis très fier de participer au décor magnifique de Patrice Savard , d'espace Ambiance, pour l'émission 2 filles le matin , en onde jusqu'au printemps 2011. 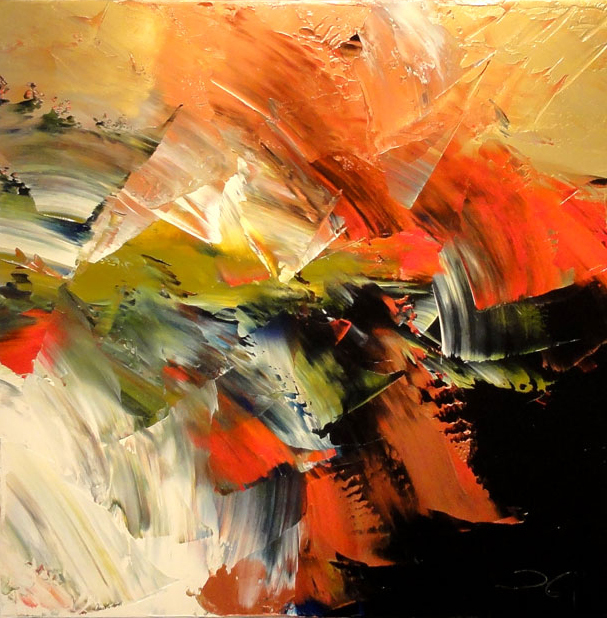 Exposition de groupe , à ma toute nouvelle galerie à Ottawa. Du 2 septembre au 28 octobre 2010. Après un rayonnement pan-canadien et en terre mexicaine , Jean-Gabriel Lambert fait un retour à sa ville de résidence pour une exposition exclusive de ses dernières oeuvres. M Galerie, 3, De La Commune est. 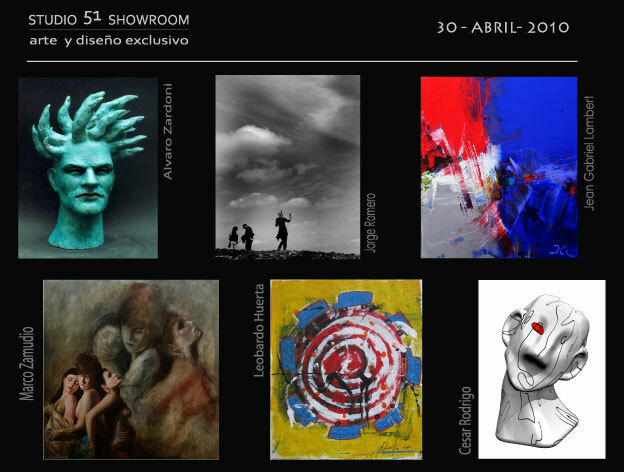 Jean-gabriel will participate for the first time to a group show in Mexico city , at the gallery STUDIO 51. 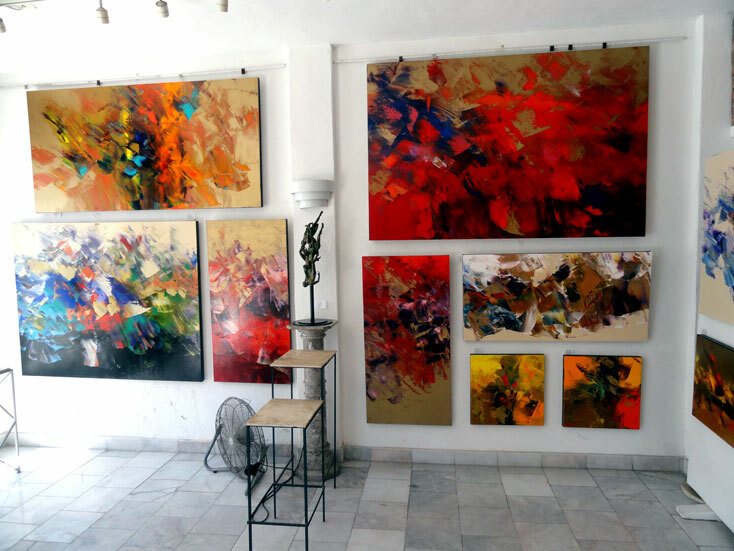 I am introducing my new collection 2009-2010 at Galleria Dante, Puerto Vallarta. I will be present there from december 4 to december 18. 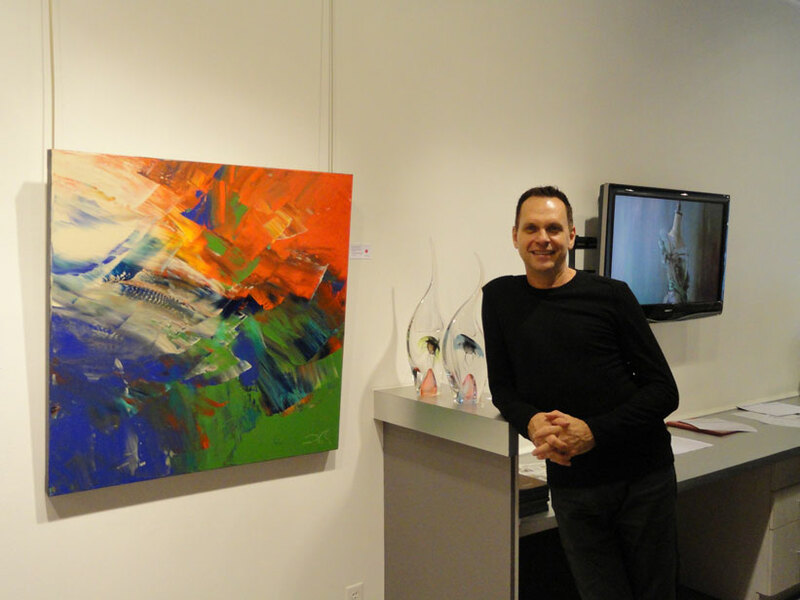 OPENING SHOW at WEST END GALLERY VICTORIA BC. 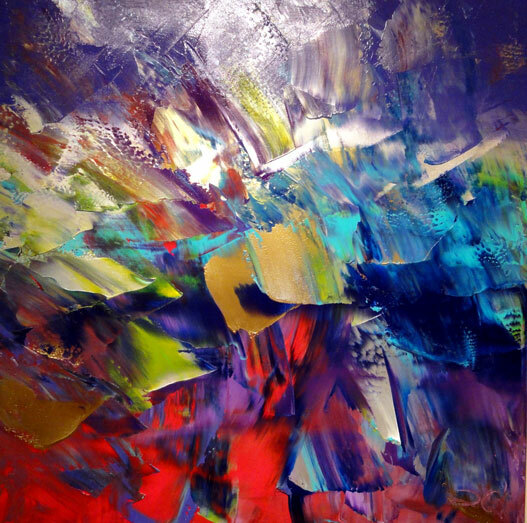 OPENING SHOW at WEST END GALLERY EDMONTON AB. 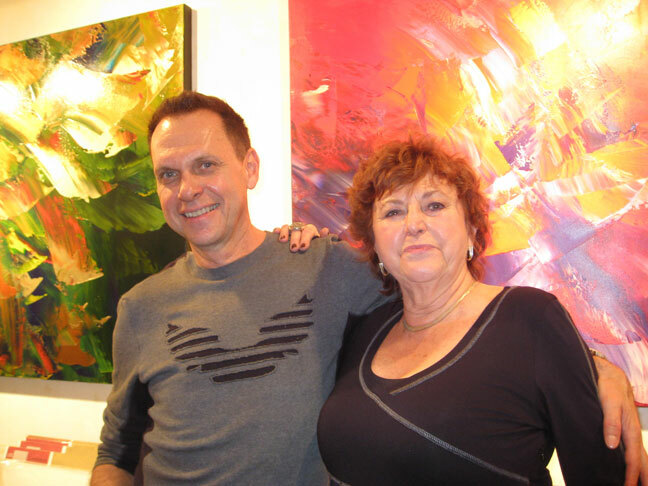 Presentation of my new collection 2009 at west end gallery , edmonton AB.